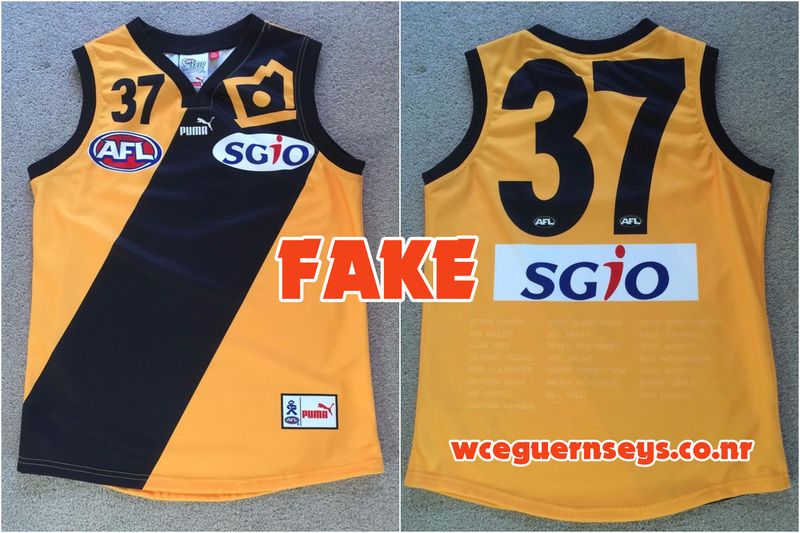 On this page I'll highlight any fake Eagles guernseys I see pop up on eBay, Gumtree or the like. The really terrible ones aren't even worth mentioning, but the ones that could deceive the casual West Coast fan I'll put here. 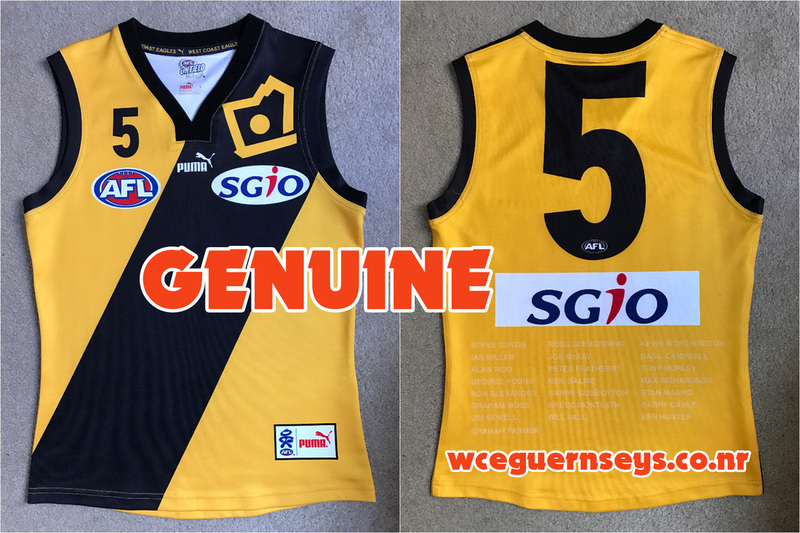 If you ever have any doubts about any guernsey you see for sale anywhere, feel free to contact me on the tab above and I'll be happy to have a look at it to check for authenticity. 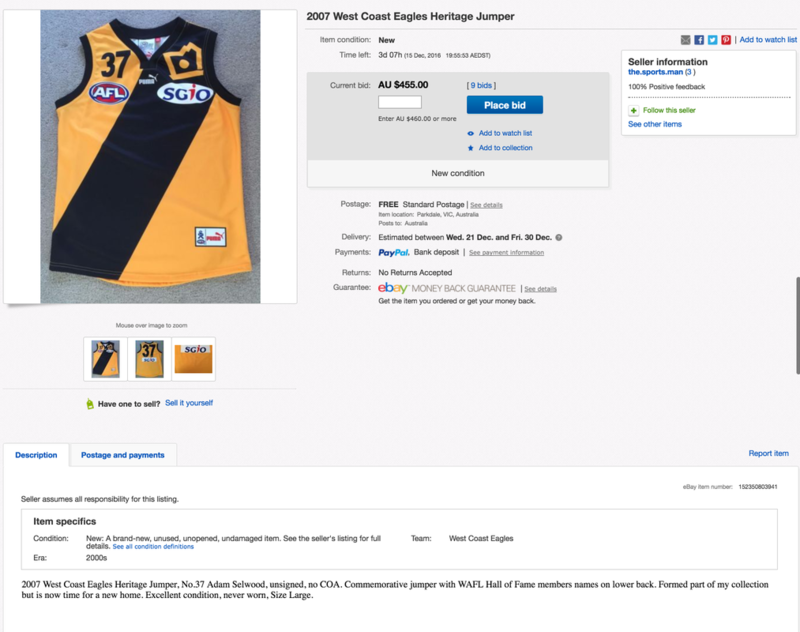 This one is genuine. 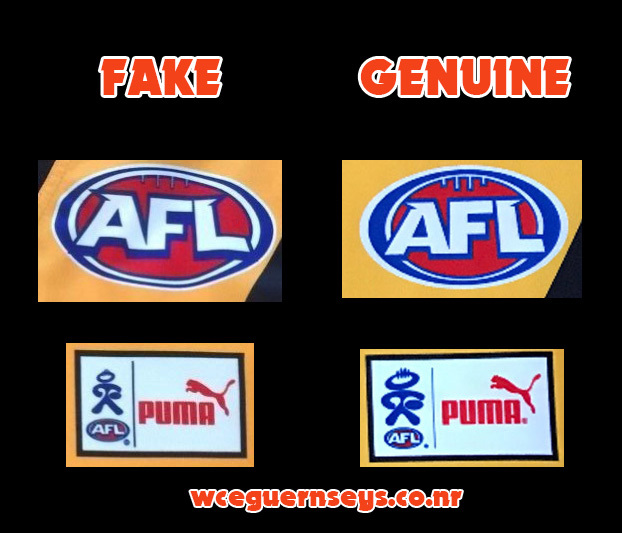 How many differences can you spot? Here are a couple, but there are many more.